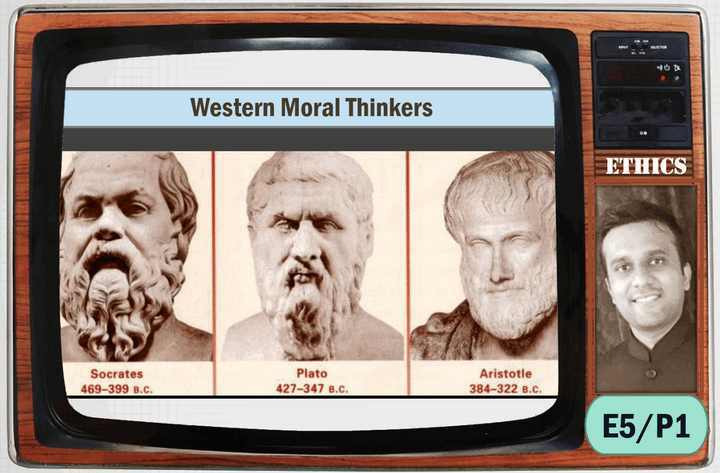 First we start with Western Moral thinkers, then we’ll look at Indian/Eastern moral thinkers. Socrates, Aristotle, Plato. All three of them advocated Virtue Ethics-Temperance, Justice, Character. How does knowledge come out? One way: Guru to give sermons to his disciples. But Plato and Socrates adopted the “Method of dialectic”- doing Question and answer session with the audience, and thus knowledge came out. Also known as mid-wifery method. Just like Mid-wife facilitates the birth of a child from mother. Same way knowledge is inside, you just need to search and bring it out. Socrates called up a slave and with dialectic method, he brought out a theorem of mathematics, thereby proving all men are equal whether slave or aristocrat. 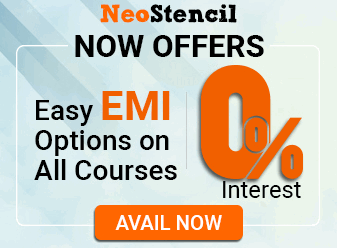 Dialectic method is a mature method to elicit knowledge. Sophists used rhetoric method / propaganda to gain emotional response from the audience, instead of moral reasoning. They had degraded the culture of dialogue in Greek. Similarly, today twitter and Facebook has degraded the culture of dialogue among youth. Both Socrates and Plato were against democracy, because in their times, Junta was unaware, due to lack of quality-public dialogue. “Sophists” was a philosophical school in the Greek society. They promoted a corrupted society, namesake democracy, might is right, full of moral corruption. So, Socrates promoted ideas of Moral virtues against ideas of Sophism. Subsequently, he fell out from the eyes of the government. People might have considered him a threat because of he associated with Aristocratic Youth like Plato. Similar groups of Aristocratic Youths had played a pivotal role in befalling the Democracy in 411 BC & 404 BC in Athens. Socrates was charged with ‘Corrupting the youth of the city’. He was sent to jail, and chance to escape from there, but he didn’t. He was given desi liquor poison in the jail, he drank it and died. Naturally, Plato reacted to it by terming it as a wicked & shameful act & since then, he is believed to be martyr for reason & truth. John Stuart Mill compared it with Christ’s Crucifixion. Socrates believed that Philosophy could be properly taught & practiced by oral methods only. May be he didn’t care about being famous. 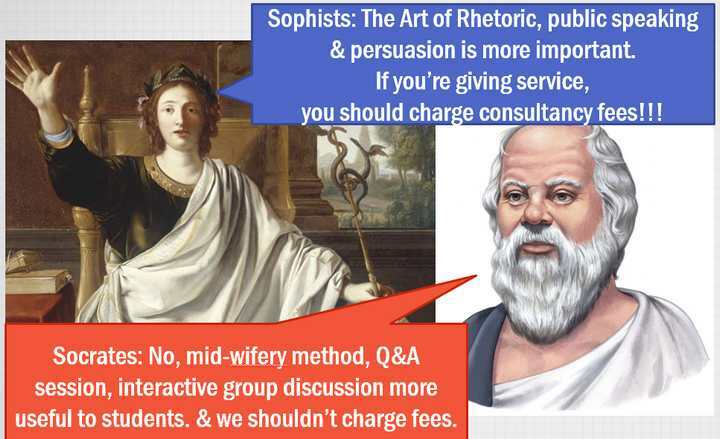 unlike ‘Sophists’, Socrates never charged for his “coaching” services. Instead of claiming to know anything, Socrates disguised as an Ignorant (that he did not think he knew answers to all the questions). but rather stimulated excitement in the people to take interest in the questions raised by him and made people appreciate the difficulties in the attempts to find the solution. Socrates’ questioning revealed people’s ignorance & aroused people’s interest in fundamental philosophical questions. Socrates’ method of Dialectic which involved a sympathetic personal relationship between the teacher & the student is still also called ‘Socrates Method’. In this, the teacher truly understands the students’ difficulties and counsels him gradually in the right direction. To sum up, Socrates’ philosophy remained totally centered around Values. Moral Heroism. Socrates is regarded as the founder of Moral Philosophy. He founded the method of trying to reach truth by persistent questioning. He was a disciple of Socrates and propagated his ideas further. He was the first western thinker who wrote his works & whose works remained intact. Socrates only discussed about moral problems whereas Plato discussed Moral as well as worldly philosophical problems with equal importance. These also included Mathematics, nature etc. But Plato always agreed with Socrates that the real harm possible to a person is the harm to the soul and therefore it is preferable to suffer wrong than commit it. He also rejected the idea that ‘virtue is solely a matter of knowing what is right’. Thus, he gave practice of truth more important than preaching/knowing. Plato gave a theory of Form & Idea – Everything in this world is a decaying copy of something whose ideal form exists outside space & time. real reality as it is stable – and the visible world only offers glimpses of that real reality. Visible world where everything is always becoming something but nothing is permanent – “Everything is becoming, nothing is” – Plato. physical world exemplified mathematical order expressible in mathematical formulas. This was further developed into the philosophy of Body & Soul – known as Platonism & became source for Christian Philosophies as well. Plato advocated austerity and self-abnegation. Soul should remain aloof from bodily pleasures. Subordination of individual wishes/aims for communal life. Arts is a danger to soul. They keep a person away from grasping the other realm. 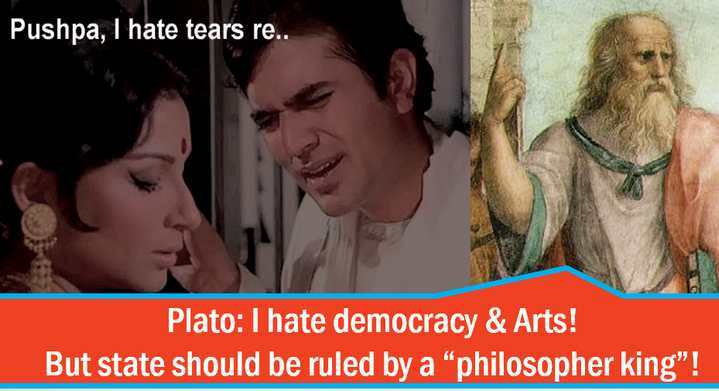 Plato was even more critical of democracy than Socrates, because his guru (Socrates) was hanged in Democracy. Plato said typical ‘Democratic Character’ is superficial, feckless & easily led (due to too much liberty & idea that all are equal). Such “democratic” people are easy prey for manipulative, power-hungry which gradually turns democracy into tyranny. Therefore, quality of the leadership is too important else entire institution (Democracy) gets maligned and people will loose faith. In Greek times, Democracy had become Mobocracy. No one had fundamental rights; Justice was done in open-amphitheater, where people decided the punishment. Plato is the warning sign for our democracy- there is a limit beyond which you shouldn’t stretch it. Human is a mixture of three conflicting elements: “Passion, Intellect & Will”. Therefore “intellect” must use “will” to control “passion”. We need ‘guardians’ / ‘philosophical rulers’ to give philosophical direction to society as whole. This was Somewhere similar to the Communist societies of the 20th century. The classes were in this ideal society were to be divided tripartite on the base of Meritocracy. Women were also to be involved unlike the contemporary society. he gave blueprint of an ideal state has been made. “Academy” was the name of Plato’s house where he gave coaching to adult students. Thus the word “academy” got associated with any building where young mature people receive higher education. Later this evolved into self-financed “College”. To end, it must thus be noted that Plato was highly interested in ‘Institution’ apart from being mainly concerned with Values. Books; republic, symposium ‘The Politics’ & ‘The Nicomachean Ethics’ (named after his son, Nicomachus). Focused on values and institutions Apart from values, ethics, politics, he also focused on many optional subjects like zoology, logic, psychology, botany, astronomy, physics, poetry, meteorology, economy, metaphysics, rhetoric etc. invented technical terms such as – energy, dynamics, induction, demonstration, substance, attribute, essence, property, accident, category, topic, proposition and universal. Even the title of the subject ‘Physics’ gets its name from Aristotle’s book with this title. Gave idea of ‘two’ realms. Wanted to direct minds of people from virtual realm and draw it nearer to deeper reality lying behind it. he denied carrying on empty talks about so called ‘Ideal Forms’. In politics, Plato hated democracy and advocated rule of “philosopher king”. Aristotle writes of the dissimilarities of two systems as a neutral but interested observer. Plato hated arts – because arts make people’s soul weak. Greek Tragedies gave insight into life and were also a medium for catharsis (‘purgation’/’cleansing’) by pity & terror. Aristotle also developed the art of a plot as having ‘a beginning, a middle, and an end’. “Poetry is more philosophical and more worthy of serious attention than history”. Plato and Aristotle had disagreement over many topics. “Plato is dear to me, but dearer still is truth” – Aristotle. He wrote a zoology book “The History of Animals”- even Charles Darwin bowed to it. Aristotle systematized ‘logic’ wherein he worked out valid & invalid form of inferences. Aristotle is termed as a great observer. In Philosophy and all other fields of work, he approaches his subjects by recording & systematizing numerous observations. Thus, his method is more ‘empirical’. “What is Being?” and “All man by virtue desire to know” are his famous quotes. Aristotle derived the four causes namely – Material cause, Efficient cause, Formal cause & Final cause for anything to be the thing it is. In Philosophy – Rationality is the final goal, all the virtues & wisdom prepare us for good life & this good life must consist of Rational Contemplation. In Politics – the objective of a city-state is to maximize the opportunities for its citizens to pursue the good life. Aristotle gave primacy to Substance to be the binding agent for the cosmos instead of Time & Location. Substance is something whose definition does not rely on existence of any other thing besides the substance itself. For Change & Motion, he emphasized that all changes & motions must have a cause & all causes must themselves be caused. This Philosophy of his leads to an infinite regress that there would be no first cause as there must be an antecedent cause for all the causes. To answer this he says that there must be a First, unmoved, Perfect Cause & mover. Here Aristotle comes to associate with God. Virtue is a disposition to act in certain ways and not others. Ethics is the highest goal. We can develop Virtue by practicing it, as a skill. So, if you live a good life, then you’ve developed the skill(/s) of acting virtuously. Happiness is a state of mind. happiness as pleasure and the absence of pain. Happiness is a matter of ‘living well or doing well’. virtuous living, should be counted as part of person’s happiness. Happiness is an evaluative term, a concept in terms of which you assess the course of a life.Therefore, true happiness means living as a rational being. Aristotle is also considered as the first ‘Political Scientist’. Aristotle applied the ‘Scientific Methods’ & rational analysis with politics. He defined human to be a ‘Political Animal by nature’ apart from being a social one. because humans alone have the power of speech which serves to signal useful & harmful – just & unjust apart. Human alone have a perception of good & evil, just & unjust, etc. a stateless person cannot practice virtue i.e. cannot live well, develop & flourish like a human. Thus, happiness is exercise of virtue and only within the context of state (polis) can one find happiness. Aristotle considered practical sciences such as Ethics, Politics etc. much more vague & compartmentalized. I.e. Ethics & Politics are far less accurate in methods & procedures than ‘Logic’. This is because these sciences deal with people. Now people are quite variable in their behaviour. Thus Aristotle never laid down hard & fast rules in Ethics & Politics. He even didn’t declare any one type of Constitution as best. This is developed from his view that ‘different forms of study requires different approaches’. citizen (elite) superior than slaves. He supported democracy over oligarchy because that was the better decision procedure for ruling group of citizens to a make. Visit Mrunal.org/Ethics for more study material on Ethics. I have made a typo in filling DAF, jumbled 2 letters in writing my previous employer’s name. I know this is immense fallout on my part and somehow I even missed it in proof reading. Please let me know if this can have serious repercussion on the interview? Can it be a talking point there and what are the chances of this mistake affecting the interview? sir will u continue with mains economics lectures? Socrates ->Plato –>Aristotle –>Alexander what a great chain of teacher-student.Hope Mrunal bhai also creates much more chains like these. why no economics for mains 2015 as promised???? Mrunal sir aVery happy Diwali to you..
in plato “Law” a book written by him was 2nd most imp book after “republic”. in it he gave a more realistic idea of the state as in republic everything was idealistic and not possible. he realized it later in his life and wrote LAW. there is also nothing about ideal state,communism,diff b/w plato communism and modern communism and fascism, best state philosophy,education system, concept of justice, dielectics as a means for discussion. i think these are also very imp if we have to discuss plato. also aristotle critique of plato should be mentioned. I am a B-Tech 2nd student I want to focus on IAS exam So how I prepare for it but I have no idea for this exam please give me some information for this exam that where I collect the knowledge like books writer e.t.c. Even i have not received the acknowledgment though my application reached there on 3rd november. I called up the authorities only to be informed that we should not panick and keep the speed post receipt safely with us. Anybosy of geography optional, writing mains this year in Bhubaneswar and wants to collaborate for last minute discussion and question answering. Mrunal sir, please upload remaining scripts of ethics lectures as early as possible. Sir post the remaining parts of the ethics series. Sir plzz cont ethics series..